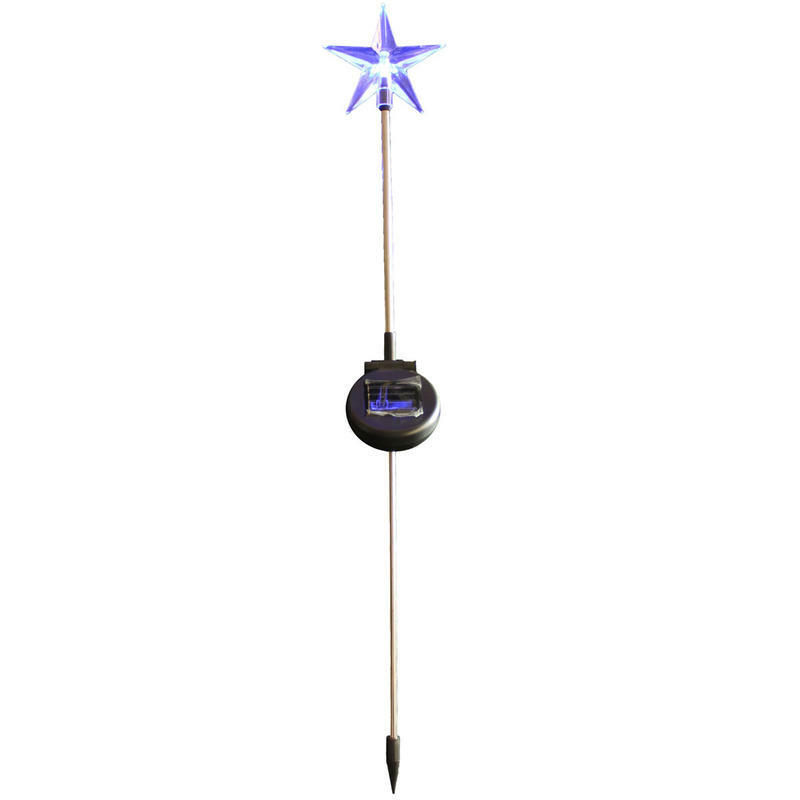 The cool glow of this Solar Star Stake Christmas light is the perfect way to illuminate the paths and walkways around your home this holiday season. 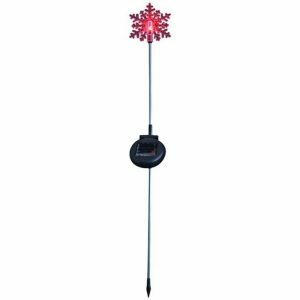 Measuring approximately 11cm wide by 33cm in height, each solar star is the perfect size to line a patio, add to a garden, or use to light-up a holiday display. These are also energy-efficient, relying on the natural light of the sun to power them up during the daytime, so they will gleam and glimmer all night long. Each blue plastic star comes affixed with an adequately-sized stake to make installing these simple and easy. The small black panel mid-way down the shaft of the solar stake light should be positioned so that it receives maximum sunlight to light your way after dark. These are a wonderful gift item to share with friends that enjoy gardening or that take pride in their home’s exteriors. You may find that you use these year-round, as the motif is timeless and versatile enough for any season.